Melrose Real Estate - Find Your Perfect Home For Sale! 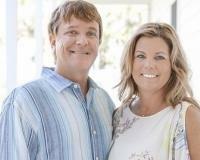 Eric and Dava Dreibelbis "Lifes a Beach" House Team at Keller Williams Atlantic in Jacksonville Beach Florida are dedicated to providing our customers with the dedication and loyalty they deserve. We are motivated to sell your house!! Not just list your home and sit back and hope it sells. If you are a buyer looking to purchase a home in Jacksonville, Jacksonville Beach, Atlantic Beach, Neptune Beach or Ponte Vedra Beach/St Johns county we will help you find the home of your dreams and make sure you are completely satisfied with the purchase of your new house in the Jacksonville area. If you are looking to buy New construction and build your own custom home we work with builders and developers to make the process smooth and re warding. We serve ALL New Home communities in North Florida like Nocatee, Atlantic Beach Country Club, Crosswater, Tamaya, Palencia, World Golf Village, Durbin Crossing, Pablo Creek Reserve, Fairfield, Rivertown, Ocean Terrace, Stone Creek, Beachwalk, Atlantic Beach, Jacksonville Beach, Neptune Beach, Paradise Key, Ponte Vedra Beach ALL offering New construction options. We are also Nocatee certified agents and are new construction specialists. We do Short sales, Foreclosures and Seller owned homes for sale. Are you trying to avoid a Short Sale or Foreclosure? We can help guide you in the direction that suits your situation. So whether you are looking for a home on the Oceanfront, River, Lake or Golf Course we can help to make sure the process is smooth. Please contact us for homes for sale from Jacksonville to St Augustine to Fernandina Beach/Amelia Island. As your agents Eric and Dava Dreibelbis Team will provide you with the best customer service possible while helping you buy or sell your home.